Ford’s storied pony car is redesigned for 2015. Key changes include the addition of a turbocharged engine to the lineup, and a move to independent rear suspension. In its first 50 years on the market, the Ford Mustang went through only five design generations. 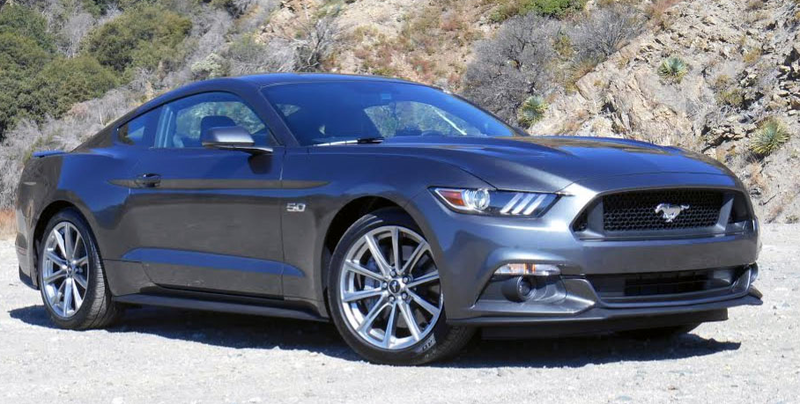 For 2015 it starts its sixth, introducing new engines, revised styling, and added features while carrying over numerous design cues that embrace the original pony car’s long legacy. 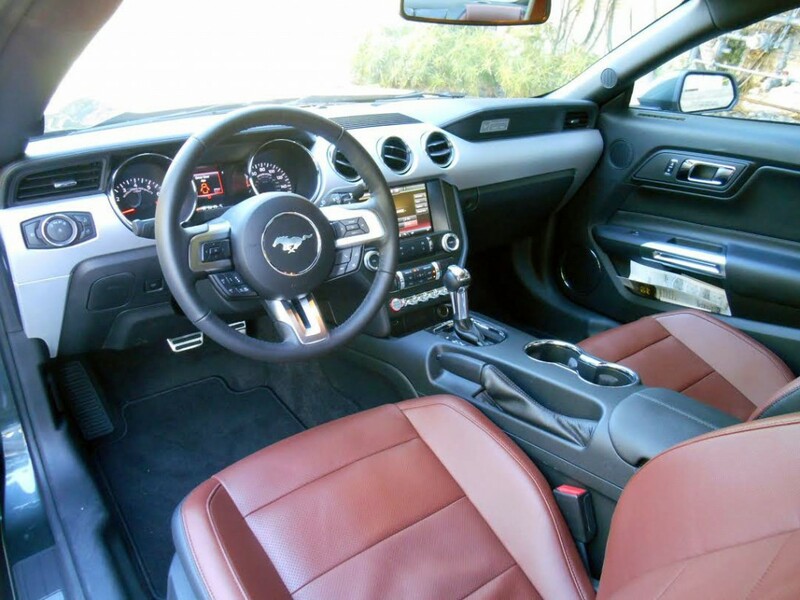 Although Ford originally envisioned a smaller, tidier Mustang package, it was determined that many of the features that have made it popular – long hood/short deck proportions, a usable rear seat, a decent-sized trunk, and V8 power – required that dimensions remain roughly the same. And they have. And though styling has changed enough to project a discernible difference, it retains enough cues to make it easily identifiable as a Mustang. Mustang GT models wear familiar 5.0 front-fender badges. Base V6 and EcoBoost ‘Stangs bear no badges indicating what’s under the hood. The GT’s 5.0-liter V8 picks up 15 horsepower for 2015, for a total of 435. Most notable of the styling changes is the new front-end design. With a keen eye cast toward aerodynamics, it features a drooped snoot and flatter face than the previous generation, along with wrap-around headlamps and distinct grille textures for each engine offered. And speaking of engines, that’s the next most “changed” aspect of the new Mustang. While the base 3.7-liter V6 and 5.0-liter V8 return, they now bracket an added EcoBoost 2.3-liter four that offers mid-line power capability with top-line fuel economy. Ford notes that it’s the first time in the Mustang’s long history that all engines in the lineup produce at least 300 horsepower. All are offered with a choice of 6-speed manual or 6-speed automatic transmission. 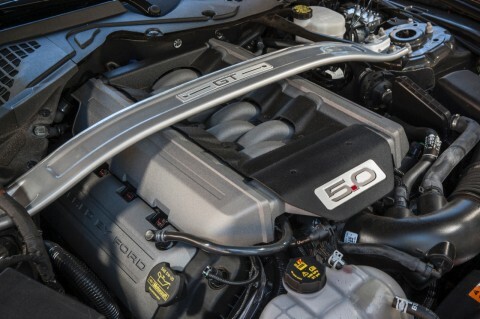 The standard 3.7-liter V6 – which recently has powered the bulk of Mustangs produced – is now expected to be the least popular choice, despite the fact it packs 300 horsepower accompanied by 270 lb. ft. of torque (both down a bit from ’14). Is it too late to get your hands on a 50th Anniversary Mustang? Largely taking its place is the new 2.3-liter EcoBoost, the first time this potent four has been used in a rear-drive application – and the first time it’s been mated to a manual transmission. In the Mustang, it has been tweaked to produce 310 hp and 320 lb ft of torque. To put this level of power into prospective, it was only six model years ago (2009) that the Mustang GT’s V8 put out 300 hp and 320 lb ft of torque, and that was with an engine of twice the displacement. The EcoBoost also makes news as being the most frugal of the powerplants offered, with an EPA rating of 21 city/32 highway with automatic transmission, 22/31 with manual – better by 2 to 5 mpg than the V6. New to the Mustang lineup is the turbocharged 2.3-liter EcoBoost mill. 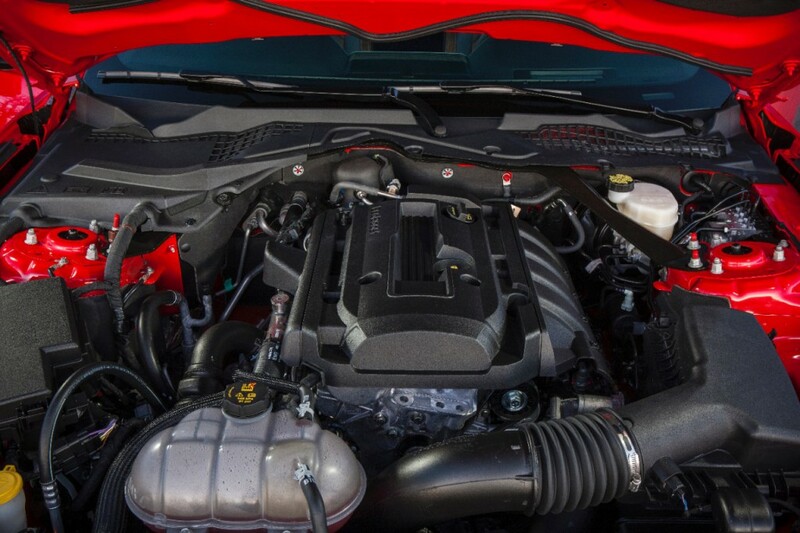 The 4-cylinder engine offers both a power and fuel-economy boost over the standard V6. At least initially, the top Mustang power offering will be the 435-hp 5.0-liter V8 found in the GT. While this represents a boost of 15 hp (and 10 lb ft of torque, to 400) over last year, it’s likely only a matter of time before even stronger variations appear, as happened previously with special offerings like the Boss 302 (which added 24 hp over the GT) and supercharged Shelby GT 500, whose 662 horsepower made in among the most potent offerings in the U.S. All engines are offered with a 6-speed manual transmission or a 6-speed automatic, the latter with standard steering-wheel-mounted shift paddles for manual gear selection. 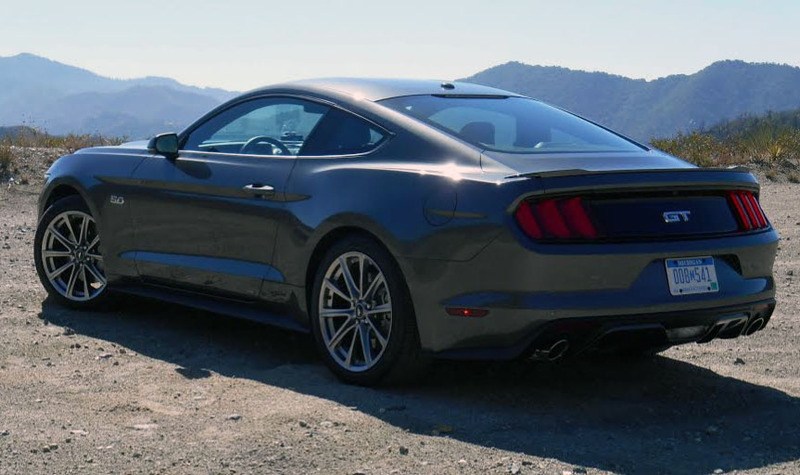 Although some past “specialty” versions of the Mustang have traded the usual solid rear axle for a fully independent rear suspension, all 2015s do. This represents a significant technological leap in terms of chassis dynamics, bringing the Mustang fully up to date with the best in its class. Also new are optional brake packages – including one featuring 6-piston front Brembo calipers – that likewise advance the capabilities of the chassis. Inside, tradition also plays an important role, though improvements have been made in features and material selections. Two round gauges still dominate the instrument panel, and they can again be optionally lit with a selection of different colors. But now the black dashboard is graced with real aluminum trim in a choice of three finishes – including a neat retro “engine turned” look – along with polished and chrome accents. Furthermore, the dashboard top and face are padded – as are the armrests and sides of the center stack – and an optional trim package brings padded door tops. Seats come with a choice of cloth or leather upholstery, the latter offered in black, red, and saddle brown. The Mustang sports a retro look but plenty of modern technology, including a touchscreen and voice-command functionality. Although the hardtop version has a decidedly fastback profile, it’s not a hatchback; rather it has a traditional trunk, as does the upcoming convertible (expected toward the end of this year). Ford says both trunks can hold two golf bags, even when the car is fitted with the optional trunk-mounted sub-woofers – which didn’t used to be the case. In the fastback, the rear seat backs fold to lengthen the cargo area, but they rest about 3 inches above the level of the trunk floor, making it difficult to slide long items all the way forward. Although Ford feels that the Mustang’s rear seat gives it an advantage over some two-seat competitors, don’t expect to put full-size adults back there – at least, not for long. Headroom isn’t friendly to those over about 5’6 (and is less than it was in the previous Mustang), and legroom disappears if the seat ahead is more than halfway back. However, Ford feels that area is typically used more for cargo and pets anyway, and regardless of use, the company says the front seat backs now return to their pre-set positions after being moved forward for access. Conversely, there’s plenty of room up front, even for taller occupants. Only Mustang coupes have been presented thus far. Expect to see the redesigned Mustang convertible before next spring. Visibility has long been a Mustang strong suit – particularly in its class – and the new one carries on that tradition. Front pillars are thin, as are the center pillars (which are positioned far back for a great over-the-shoulder view). Rear pillars are also fairly easy to see around, something that’s too often exactly the opposite. Although we didn’t get to test a base model (none were made available at the preview), both the EcoBoost and GT versions driven had unusually comfortable front seats, though only the driver’s had adjustable lumbar support. In the otherwise retro-styled dashboard, the modern, high-tech audio and climate controls look a bit out of place. Also out of place are many of the controls themselves; the standard touchscreen is quite a reach, as are a number of the knobs and buttons. Volume and tuning have their own knobs (the latter being a stretch), with source and station selection being done through the touchscreen. Temperature is adjusted with a vertical rotary knob, but fan speed is by repetitive-step pushbutton, and mode is on the touchscreen. For elements incorporated into the touchscreen, it often takes multiple steps through hard-to-access virtual buttons to get where you used to go in one press of a physical one. Interior storage is adequate, but no more. The glovebox is arranged so that the owner’s manual is out of the way, leaving a fair amount of space for stuff. Handier to the driver are a small forward console bin with USB and 12-volt plugs, two cupholders, a small console box with USB/Aux/SD card/12-volt plugs, a neat left-side dash bin for sunglasses, and tiny map pockets in the doors. Was the Mustang II really one of the ugliest cars of the decade? Whatever minor failings the Mustang has, none are where the rubber meets the road. Here the car impresses with a surprisingly compliant ride, grippy cornering, and serious power, particularly in GT guise. As is characteristic of such engines, the V8 pulls strongly throughout its rev range. Equally characteristic of small turbocharged engines is a moment of lag time from a full-throttle start before power comes on strongly, but the new EcoBoost suffers less of this than most; in fact, stabbing the throttle while turning left from a stop broke the rear tires loose and sent the tail flying about halfway through the intersection. (This would have been more fun had it not been so surprising.) The revised 6-speed manual is a joy to shift, with – at least when coupled to the GT’s V8 – very easy clutch action. The EcoBoost model driven carried the 6-speed automatic, which downshifted fairly quickly for more passing power. Ford introduced the Mustang in April of 1964. 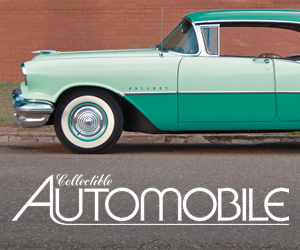 A 101-horsepower 170-cubic-inch six was the standard engine. In both models tested (GT and EcoBoost), the suspensions did a great job of soaking up bumps while still providing flat cornering and fine steering response. Credit the new independent rear suspension for some of that, and particularly for reducing the amount of “side stepping” in bumpy corners. All told, this is one impressive road car. Along with the redesign comes a host of new features. 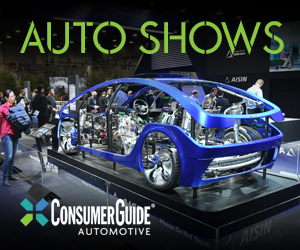 On the safety front, curtain airbags are added for the first time (convertibles will get head-protecting side airbags), as are front knee airbags and a rearview camera, along with available blind-spot alert, cross-traffic alert, and adaptive cruise control. There’s also keyless access and starting, Ford’s SYNC infotainment system, and MyKey, which allows parents to set limits on such things as speed and radio volume. Performance enthusiast might like Ford’s Track Apps, which allows for timing events, and every GT comes with launch control, which can make some of those times a little quicker. What if another company’s stylists had gotten to the Mustang first? Mustang has always made its mark as a sporty car at a budget price, and that hasn’t changed for 2015. Although the base V6 model is up by about $1000 to $24,425 including destination, that’s still a stylish bargain that’s better equipped than its predecessor. Yet Ford thinks the new EcoBoost model, which starts at $25,995, will be more popular, largely due to its greater power and better fuel economy. 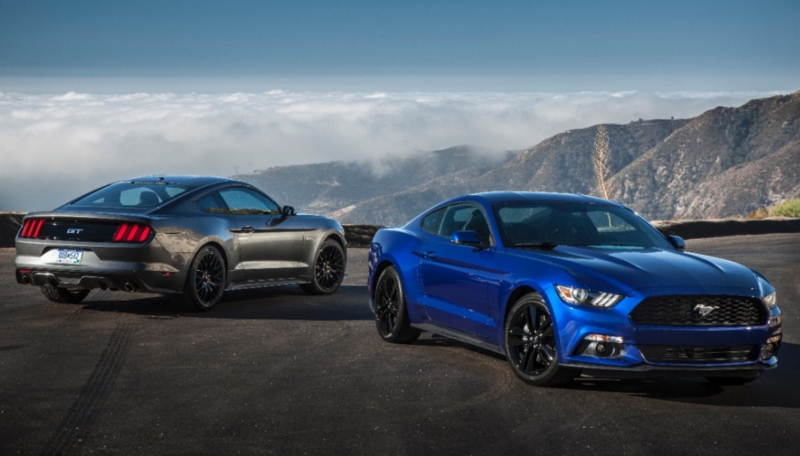 But if history is any indication, it’s the GT – which starts at $32,925 – that will now make up the bulk of sales, as it typically attracts about 40 percent of all Mustang buyers. With ponycar contenders making a resurgence of late, the Mustang now has challengers it didn’t have eight years ago. But even after those newer rivals arrived, the Mustang struck me as the best of the breed. And the 2015 redesign has not changed that impression. It still provides competitive performance with class-topping practicality, making it a great choice for those who want a budget-priced thoroughbred without the finicky nature. Written by: Rick Cotta on September 26, 2014.on May 22, 2015.